Starting February 4, 2019, UNCG ITS will offer access to Project Online Essentials and Power BI as part of our Office 365 campus subscription for students, faculty, and staff. Subscriptions for Microsoft Project Professional and Power BI Pro will be available for purchase. To access these tools, log in to http://Office365.uncg.edu with your UNCG account. Project Online Essentials is a lighter version of Microsoft Project and a team member add-on for customers that have Project Online Professional or Project Online Premium. With it, team members can conveniently manage tasks, submit timesheets, and collaborate with colleagues. Power BI is a business analytics solution that enables users to visualize data and share insights from hundreds of data sources across organizations, in apps, and on websites. Power BI Pro users can publish and consume content from app workspaces, share dashboards, subscribe to dashboards and reports, and collaborate with other users. For a comparison between the Pro and free versions of Power BI, see Power BI per user license type comparison. 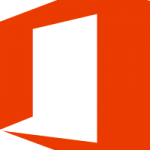 Named-user subscriptions for Project Professional or Power BI Pro, purchasable only by faculty and staff, are delivered through Microsoft Office 365 accounts. The subscription cost is prorated by Microsoft throughout the course of the year, and an annual fee is required for its continued use. 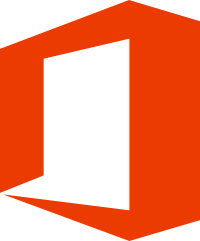 For more information, or to request a quote, complete a Microsoft Office 365 Applications Order Form. If you have additional questions about Power BI or need technical assistance, please contact 6-TECH at (336) 256-TECH (8324) or 6-TECH@uncg.edu.